Target Windows is celebrating 35 years in business. The company is running a Facebook competition in March, where anyone living at a property with a combination of 3 and 5 in their property number can enter. 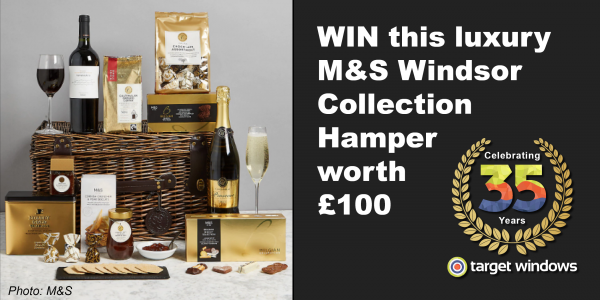 The prize is a luxury M&S hamper worth £100. You can enter here. 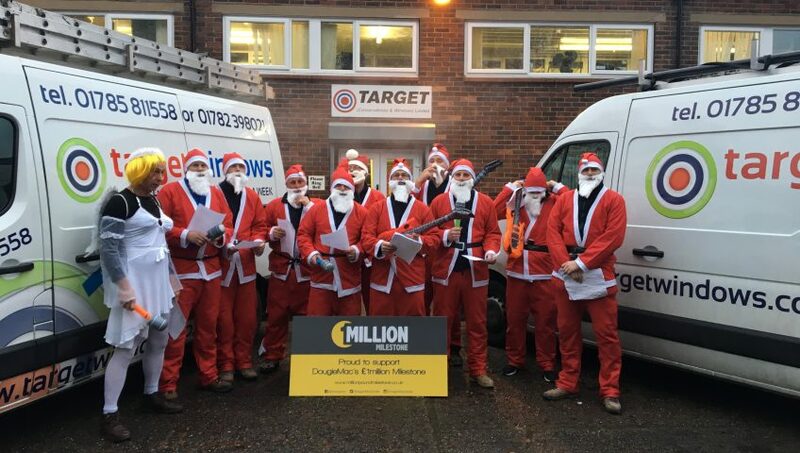 The business is also asking people to challenge Target Windows to beat a quote for windows, doors and conservatories. The Meir Heath-based company was established in 1983 by businessman Alan Tune, who manufactured windows for a local double-glazing firm. As demand increased, Jane assisted with sales appointments, and the small showroom was soon outgrown. Target relocated to its current home at The Filleybrooks in Stone and expanded into Uttoxeter. In 2002, current company director Guy Basnett joined the team, after marrying Jane in 1999. His experience in sales opened up the commercial market. Alan’s brother Mick is also part of the management team and has many years of experience in the industry. The family business has gone from strength to strength. Mr Basnett said: “It’s a very exciting time for Target. 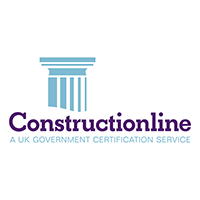 We are now focusing on securing commercial contracts throughout the UK on new build sites, schools, animal re-homing projects and refurbishment projects. For further information 01782 398021. 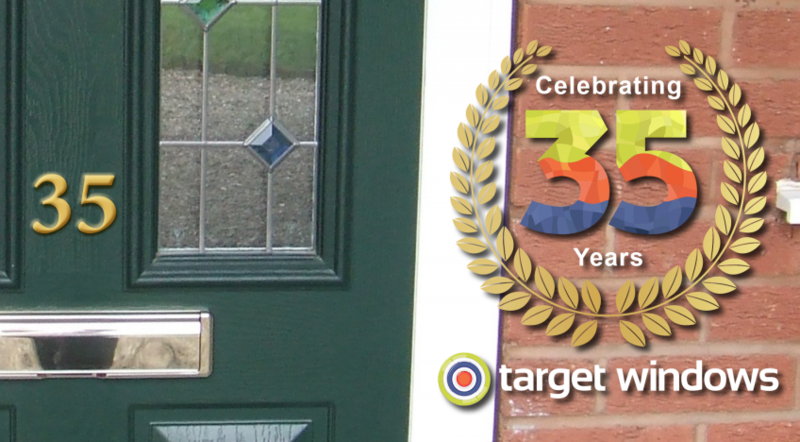 Entrants must enter via the Target Windows Facebook page and post a photo of their house number containing a 3 or a 5 on the competition post, which is pinned to the top of the page. The prize is as stated, no cash alternative can be given. The competition runs from 12pm on March 1 until 12.00 midday on March 25, 2018. The winner will be notified via Facebook and also announced on social media week commencing March 26, 2018. The competition is not open to employees of Target Windows and their families. Entrants must be aged 18 and over. 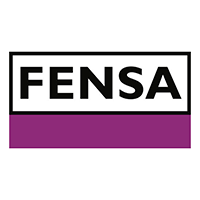 The customer must present a formal document containing a quote from the supplier. Target Windows will try to match or beat the quote. The competition is not open to employees of Target Windows and their families. Entrants must be aged 18 and over. Competition closes at 12pm on March 31, 2018. 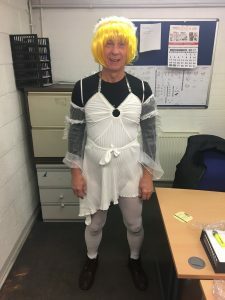 The boss of a family-run window company has spent a day locked in a prison cell to raise over £1,800 for the Douglas Macmillan Hospice. 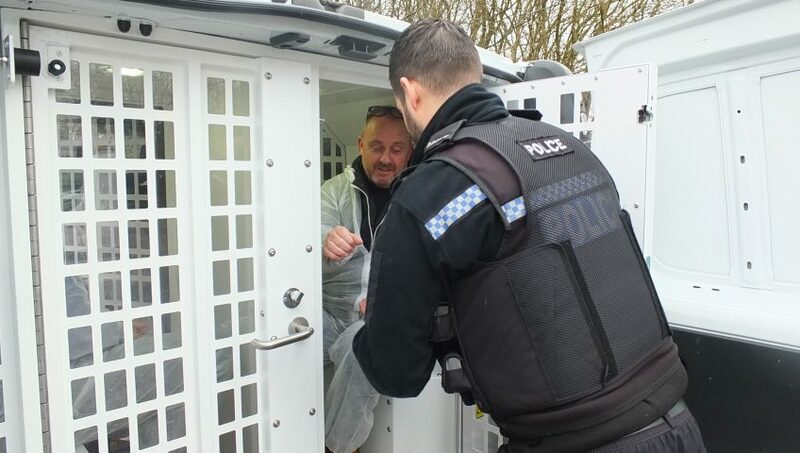 Guy Basnett, director of Meir Heath-based Target Windows, was picked up by uniformed officers and bundled into the back of a police van on Wednesday after signing up to take part in the hospice’s 2018 Jail or Bail Challenge. 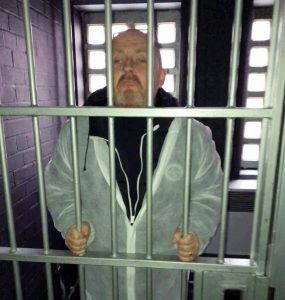 Mr Basnett spent Valentine’s Day in a cell at the disused Magistrates Court in Fenton, along with David Webster, CEO of Douglas Macmillan Hospice, Ian Walker, director of Fifteen Group, and Dave Meakin, a driver at Jones & Shuffs. He said: “I was made to wear a white jumpsuit over my puffer jacket, so I looked like Michelin Man, then stuffed into the back of a police van in a cage. 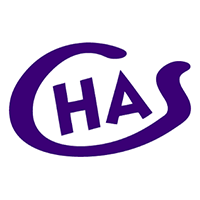 The Jail or Bail campaign marked the 45th anniversary of the hospice providing local care to local people. The money will go towards the cost of funding the services provided by the Dougie Mac at the hospice in Blurton and across the North Staffordshire community. You can still donate by visiting jailorbail.everydayhero.com/uk/target-windows, calling 01782 398021 or popping into a Target Windows showroom in Stone or Uttoxeter.